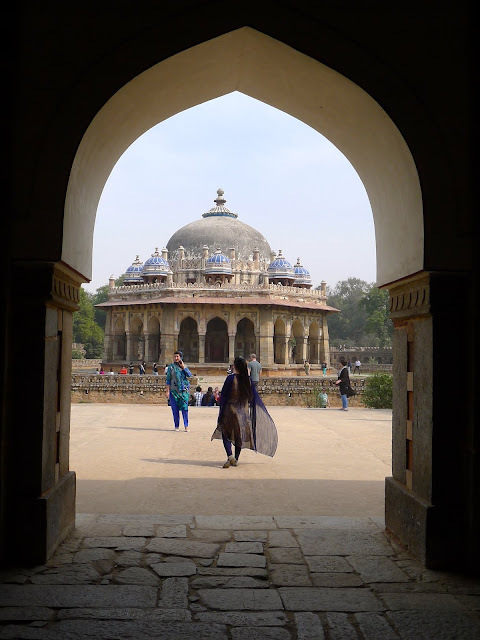 We arrived in Delhi four nights ago after a sleepless overnight flight from Ho Chi Minh City. We arrived cross-eyed from exhaustion and grumpy from lack of food. We checked into our hotel room and slept hard for six hours. We woke up refreshed and ready to tackle Delhi. Except we weren't ready. We're never going be ready. This city is complex and foreign and mysterious. We don't know how it works. It is impossible for us to navigate it on our own. Delhi is ancient and noisy and beautiful and crowded. My tender hearts struggles when ragged children come up to our taxi window to beg, when I see a family of five spending the day on a traffic island, the children naked. My heart hurts for the mangy stray dogs that wander the streets. And yet my heart swells when I see the beauty, the resiliency, the work ethic and the kindness of its people. 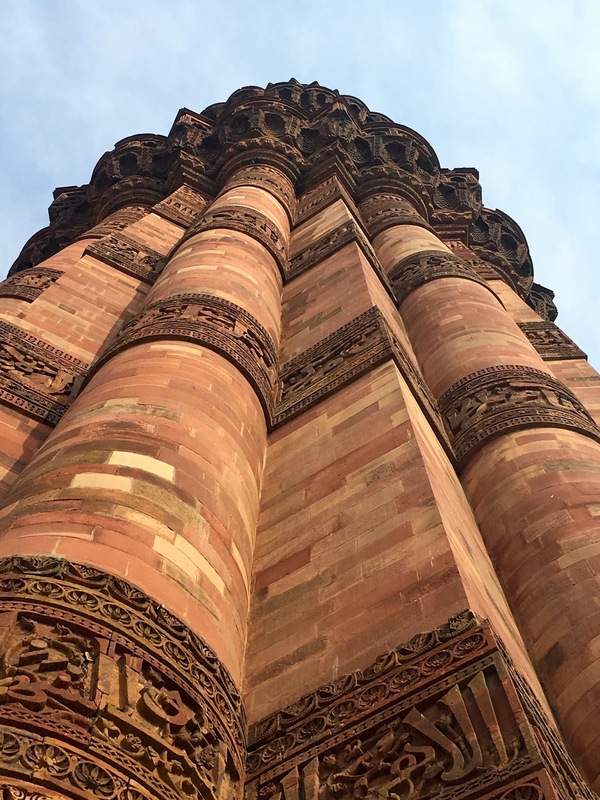 The food, the monuments, the places of worship for Hinduism, Sikhism and Islam are absolutely wonderful. There is a spirituality here that permeates everything. Where else can you walk down a city street and have a cavalcade of cows walk past you? One bumped into Joe and a man called out, "Welcome to India!" 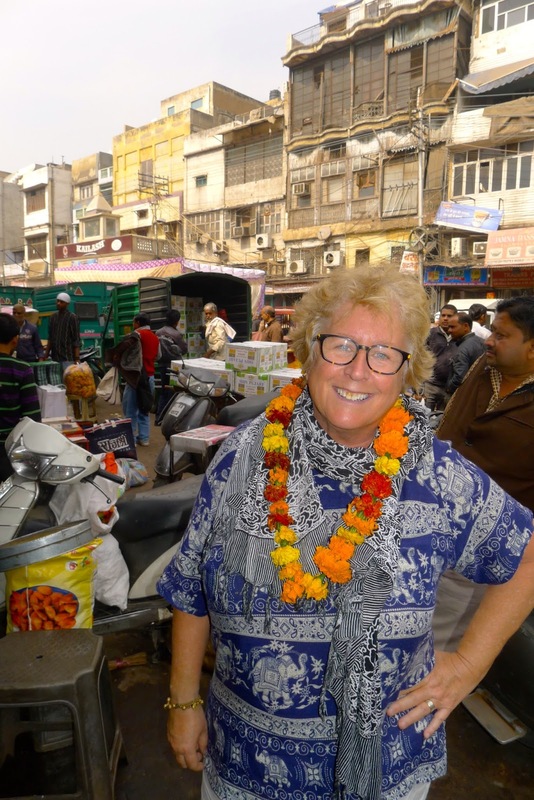 Our first meal in Dehli. Getting ready to open up for business. 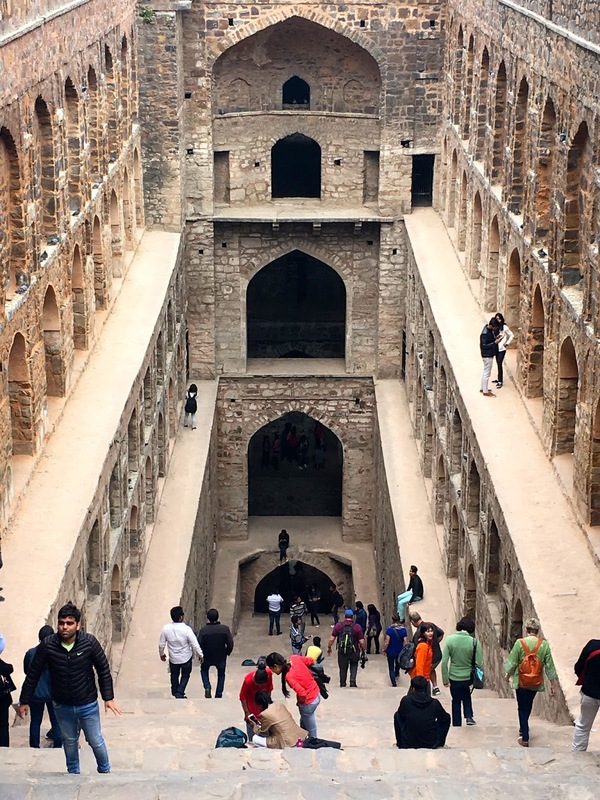 Through recommendations from friends, we met Subhash Chand, Delhi's best tour guide. We spent 9 hours together which seemed to go by in minutes. Subhash is humble, friendly, kind and knowledgeable. If you are ever in Delhi, please hire him. You will have the most wonderful day. 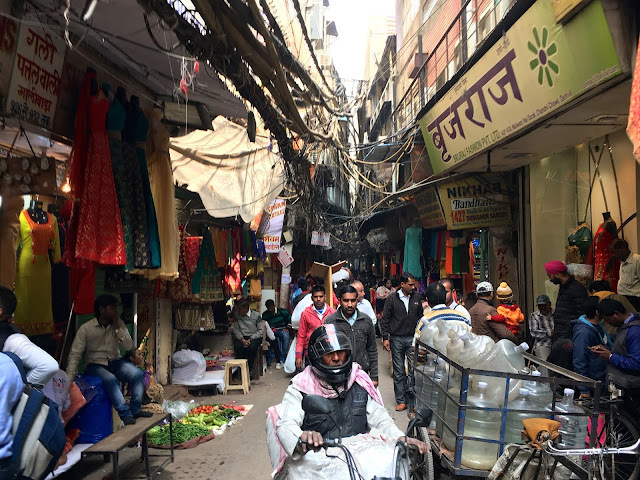 The streets of Old Delhi. Selling flower petals in the market. On the steps of the Friday Mosque. 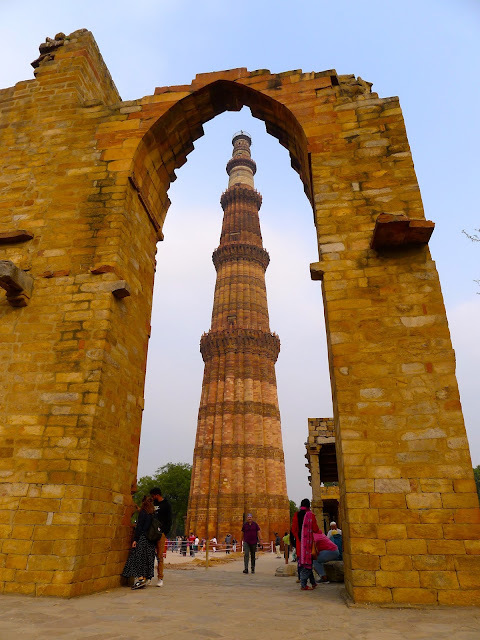 Qutub Minar, a 16th century minaret. Frying jelabi on the street. Agrasen ki Baoli, an ancient well built the 1300s. 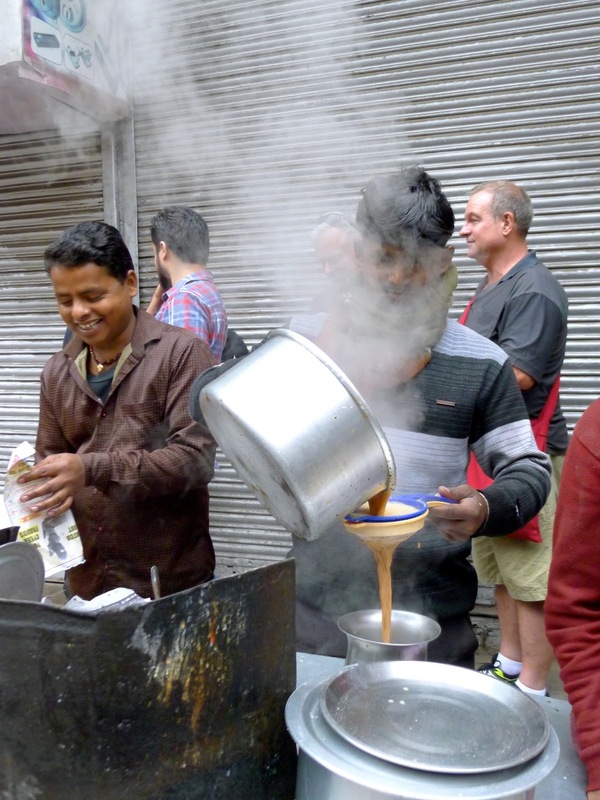 Making chai at a tea stall. 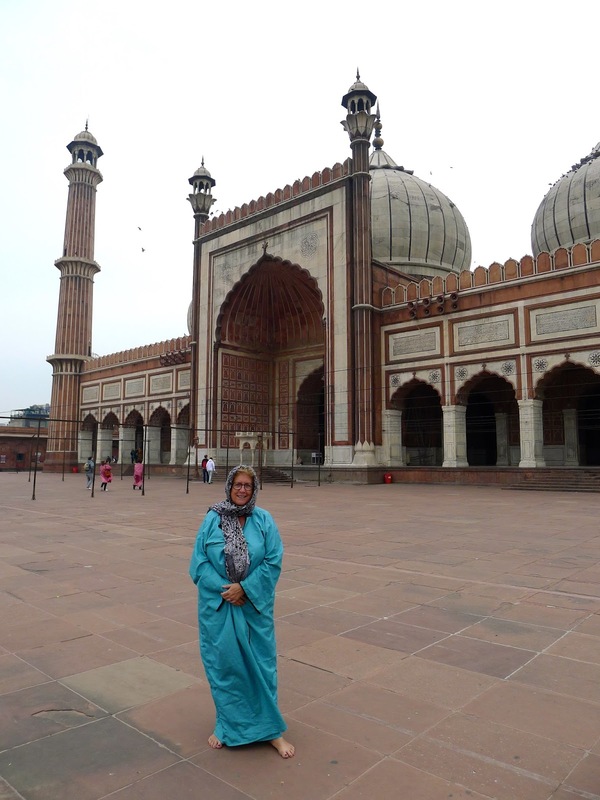 At the Jama Masjid Mosque. Loads are heavy in this country. Many lives are lived on the streets. It can be exhausting in the gurdwara. Apartments above the spice market. Dadi and Dada (Grandma and Grandpa) in the gurdwara. Everything here is so new to us. Everything is different. It is a puzzle. And that is exactly what we love about travelling. We find it all very exciting even when it's challenging. We have now met our tour group from 'Intrepid Travels'. We set out for Agra in the morning. We'll be travelling around Rajasthan in Northern India for the next two weeks.